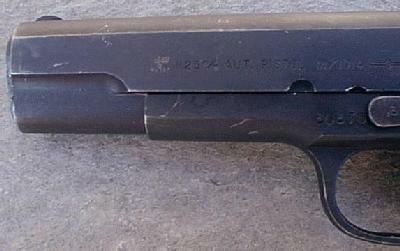 Norwegian Colt 1914 11.25mm - At the end of WWII, the Germans produced a few Norwegian Colt 1914 11.25mm pistols in Norway in the "Kongsberg" weapons factory. 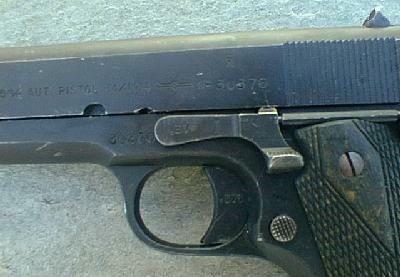 This Model 1914 has the factory marking, and the German eagle (Waffenamt Proof). 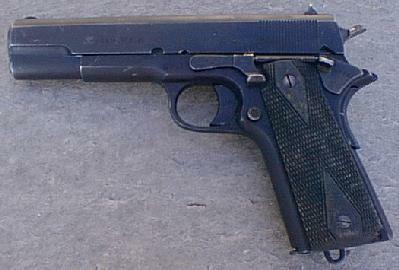 Nazi marked guns were manufactured only in 1945 and began in the mid-29,000 serial number range. 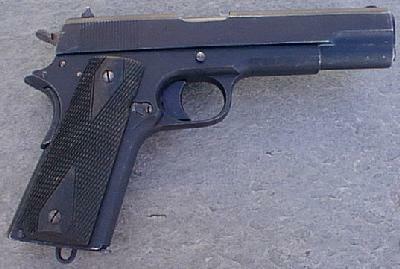 There were approximately 1000 of these guns manufactured. The serial number of this example is 30376. The Waffenamt mark is visible in the photo above. The stamp from the Norwegian factory "Kongsberg Våpenfabrikk"